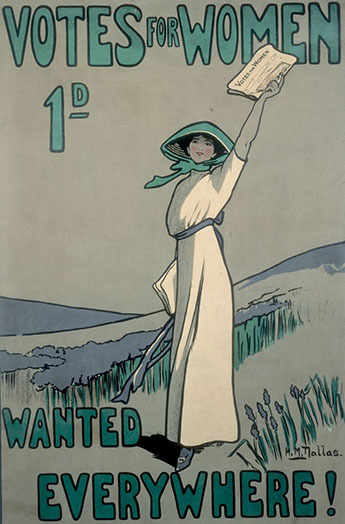 The story of Emmeline and Richard Pankhurst and the struggle for Women’s Rights. Emmeline Goulden was already an activist for Women’s Rights before she met and married barrister Richard Pankhurst in December 1879. Emmeline Pankhurst became perhaps the most famous of the “Suffragettes” as they came to be known, but her political influence and activity was not limited to the single issue of enfranchisement. A complex woman and and a complex life has polarised feminist thinking over the decades since her death. Richard Pankhurst, author of the Married Women’s Property Act, was a firm and fervent supporter of feminist politics and an influential figure in his own right. Twenty four years her senior, he did not live to see Emmeline’s greatest triumph but we live today with the legacy of both their lives. Intertwined with the political history that is inseparable from the Pankhurst name, we tell the story of their lives together and apart.